And not five seconds after cracking that joke, it somehow became reality. Gindl drove Ryan Webb’s 1-0 offering over the left field fence for a walk-off blast to give the Brewers a win after 13 innings. The Crew now has four straight wins and, granted this series was against the Marlins, has some momentum moving into the rest of the second half. Sadly, Gindl’s home run didn’t come until five innings after Wily Peralta left the game, and he deserved the win. Peralta fired eight stellar innings while striking out seven. He gave up just two hits and two walks. He’s managed to quickly turn his season around, lowering his ERA from above 6.00 to 4.30 in a matter of a few starts. > Even though Peralta’s great outing today came against the weak-hitting Marlins who haven’t scored a run since the fourth inning of their last game before the All-Star break, we can’t blame it all on their inability to hit. Peralta has dominated some contending teams lately, such as the Braves, Nationals, Reds, and Diamondbacks. It’s safe to say his comeback is legitimate. > Normally, I’d hammer Ron Roenicke for yanking Peralta after just 97 pitches through eight innings, but I guess he had good reason to today. Can’t blame him for trying to jumpstart the offense by pinch-hitting with Jonathan Lucroy in the eighth. > But I will hammer him for continuously refusing to put the best team possible on the field. 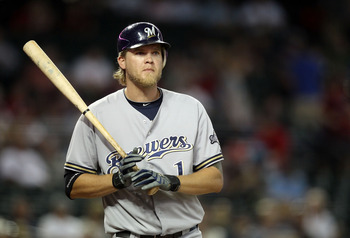 Today, he held Lucroy, Ryan Braun, and Carlos Gomez out of the lineup. I sort of understand with Gomez and the slump he’s in, but sitting him for the likes of Gindl isn’t the best idea. (I know Gindl hit the walk-off, but maybe if Gomez and the rest are in the lineup this game ends earlier and Peralta gets the win). I love Martin Maldonado defensively, but his .170 average isn’t going to cut it. And taking Lucroy out of the lineup on a consistent basis when he’s on an absolute tear is unacceptable. Lastly, Braun needs as much playing time as he can get before the inevitable happens, so there’s no reason to hold him out. > Lucroy said today that he has first base and the outfield in mind for next year so he can avoid a situation similar to what happened today. I have to wonder if he’s fast enough to play the outfield, but both right and left field could in be in question if Norichika Aoki departs via free agency and if Braun’s suspension bleeds into next year. > Alfredo Figaro began his rehab today with the Arizona Brewers (R). > The night before last, Brandon Barnes hit for the cycle for the Astros and they still lost. Last night, starter Erik Bedard didn’t allow a hit for the Astros and they still lost. Ha. 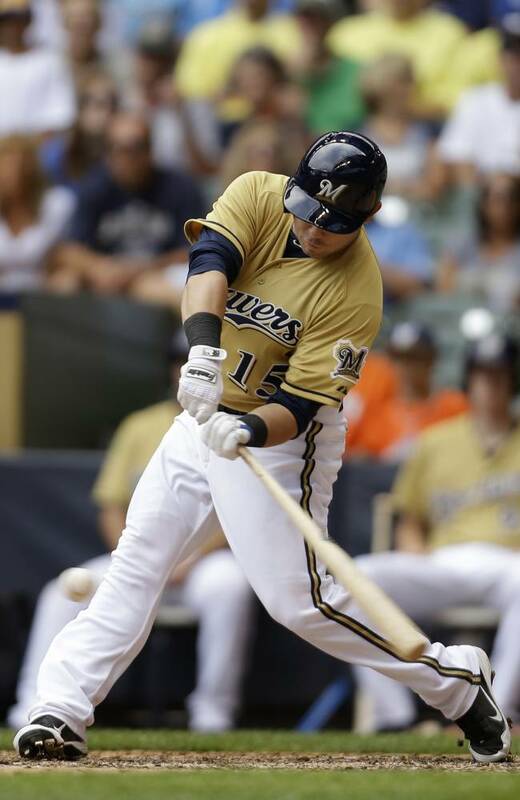 > Gindl was the first player in Brewers history to a hit walk-off home run for his first MLB homer. > This is the first time the Brewers have thrown three straight shutouts since 1990, which was the only other time the feat was accomplished in franchise history. > Peralta has a 0.31 ERA over his last four starts.